A "potential conflict of interest" has led to the postponement of the Judicial Service Commission (JSC) interviews of two candidates for the Constitutional Court Bench. The interviews were supposed to take place on Monday but the media and public were asked to leave the room while the JSC deliberated a legal issue. It later emerged that there was a potential conflict of interest. 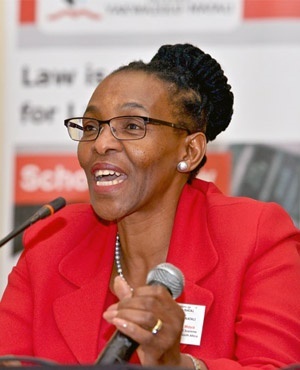 The Mail & Guardian reported that the potential conflict of interest related to Supreme Court of Appeal (SCA) President Mandisa Maya, but the JSC would not elaborate. On its Twitter account, civil society organisation Judges Matter said the potential conflict of interest existed between Maya and one of the six candidates who was scheduled to be interviewed on Monday. JSC spokespersons CP Fourie and Thoko Didiza told the Mail & Guardian that no one was able to stand in for Maya on Monday but they were "confident that the interviews would take place on Wednesday". Acting SCA Deputy President Mahomed Navsa is expected to be present on Wednesday to ensure a quorum. News24 attempted to get hold of JSC spokesperson CP Fourie but he was not immediately available for comment.